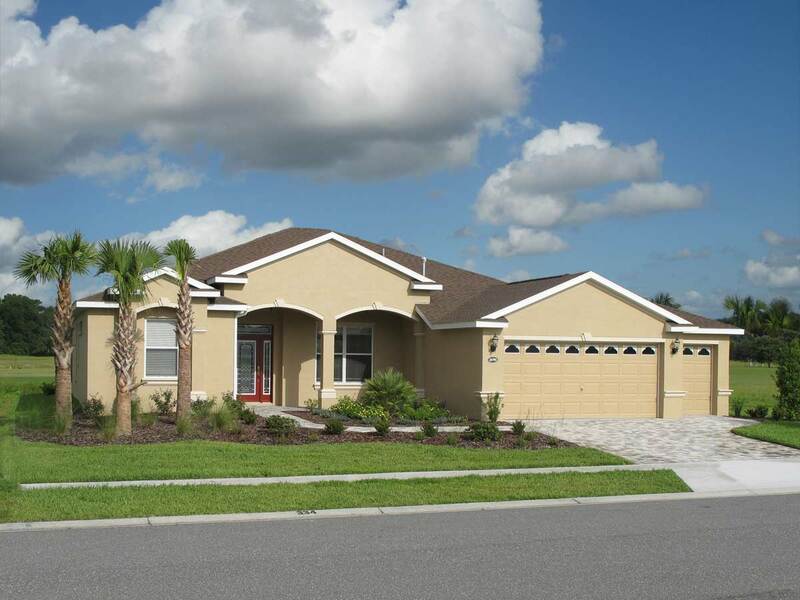 We offer a wide variety of beautifully-designed retirement homes for sale in Arlington Ridge Central Florida Retirement Community. Arlington Ridge’s custom home builder FLC offers outstanding quality and value in real estate for sale. Choose from numerous beautiful Arlington Ridge real estate options for customization. There are literally hundreds of different selections that you can pick from to create your perfect dream home. ​​Move In Soon Homes–If you need a home right away or would prefer to purchase a finished home, Arlington Ridge’s “Redi-Built” homes are perfect for you. The Estate Series–Larger and more luxurious homes built on Arlington Ridge’s larger home sites. ​​The Designer Series–Our newest series of ​affordable, yet luxurious homes created specially for Arlington Ridge. You’ll love these open, airy floor plans. No matter which model you choose, you’ll enjoy the same quality, service and warranty that has made FLC one of Florida’s top home builders for more than 35 years. We want to make sure that you have the home that is perfect for you. That’s why we offer full customization services of every home we sell… from the smallest to the largest. We’ve got a variety of floor plans to ensure that you will be 100% satisfied with your home. Need a modestly-sized home? Ask about our Daffodil II, Mayflower or Juniper options. Or, if you need something larger, try our Vanda II, Sabal IV, Baylaurel III or Jasmine retirement homes. Questions about our homes for sale at Arlington Ridge? Call (844) 212-7872 today to learn more about creating your ideal home. Or contact us online to learn more about customizing Arlington Ridge’s real estate options. NOTE: Except for Move In Soon Homes which include home site indicated, prices below are for HOME ONLY. Lots for Estate Series & Designer Series homes are currently available from $36,000 to $67,000. Choose a floor plan from our home designs below or continue down to see all our homes. Arlington Ridge Homes’ Immediate Build Policy. Prices and promotional offer subject to change without notice.